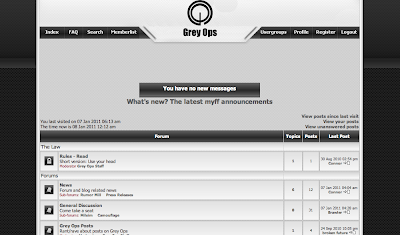 So I never really did a good job of promoting Grey Ops' forum, so let's remedy that! You decide the content! If you want something in specific that you can't get anywhere else, let me know (and it's most likely I can include it), as the forum is still in its formative stages.